SNAPA glazing bars are specially designed to accompany AXIOME’s multiwall polycarbonate sheets. Unlike other glazing bars, their unique ‘snap down’ system makes installing your polycarbonate roof fast and hassle-free. Once fitted, these snap down glazing bars provide superior durability. 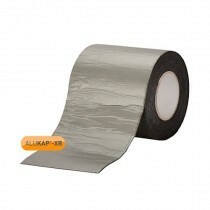 This is achieved through the use of highly strong PVC and durable rubber seals. This contributes to maximising the lifespan of your polycarbonate sheets by minimising unnecessary movement. Whether you’re reviving your conservatory or are building a new pergola, the SNAPA glazing bar system includes everything you could require. This includes H sections, drip trims and more. 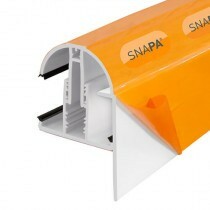 When combined these snap down glazing bars allow you to achieve a professional finish on your project. Have More Questions About Our Snap Down Glazing Bars? If you have questions about our selection of glazing bars, get in touch with our team online or by telephone. With over 40 years of experience in roofing, we’ll help answer your questions about SNAPA glazing bars. We will also help you pick compatible roofing sheets and accessories.